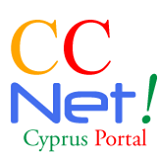 The latitude of Cyprus is 34° 33’-35° 34’ North, and its longitude is 32° 16’ - 34° 37’ East. The legislative authority in the Republic is exercised by the House of Representatives now consisting of 80 seats, 56 of which are for Greek Cypriot members and 24 for Turkish Cypriots. The members are elected by universal suffrage five-year term. At the time of its establishment, the House consisted of 50 members, 35 of whom were Greek Cypriots and 15 Turkish Cypriots. According to the Constitution the ratio of members is 70% Greek Cypriots and 30% Turkish Cypriots. Following the withdrawal of the Turkish Cypriot members in 1963, the House has been functioning only with the Greek Cypriot members. The administration of justice is exercised by the island’s separate and independent Judiciary. Under the 1960 Constitution and other legislation in force, the following judicial institutions have been established: The Supreme Court of the Republic, The Assize Court, District Courts, Military Court, Industrial Disputes Court, Rent Control Courts and Family Courts. The Supreme Court is the final appellate court in the Republic and the final adjudicator in matters of constitutional and administrative law. 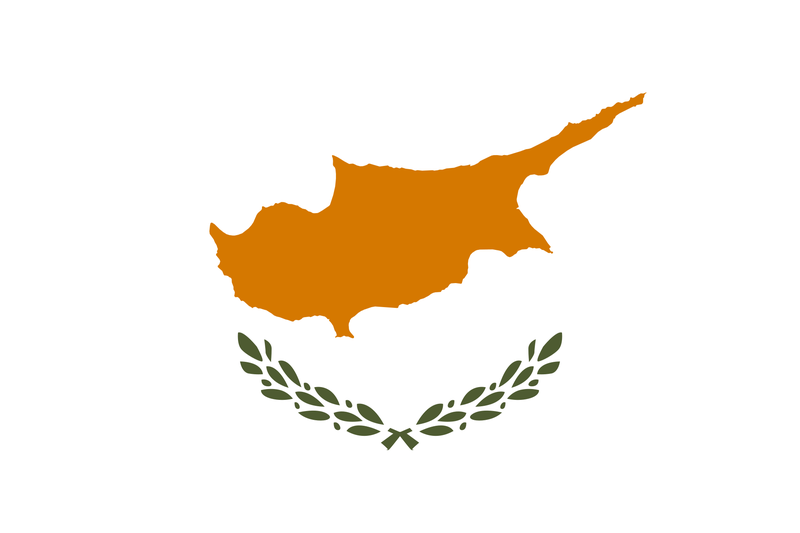 Cyprus became an independent Republic on August 16, 1960 on the basis of the 1959 Zurich and London Agreements negotiated by Greece, Turkey and the United Kingdom. The Greek and Turkish Cypriot communities had no substantial role in their drafting - or in the drafting of the constitution - and were never given the opportunity to vote on them. In effect, both the agreements and the constitution of the nascent republic were imposed on the people of Cyprus. The Constitution emphasised differences between Greek and Turkish Cypriots, thereby encouraging divisive rather than integrative tendencies between the two communities. Greek Cypriots were determined to strengthen the unity of the state but the Turkish side sought ethnic segregation and geographic separation. There were sporadic intercommunal clashes in 1963-1967 and air attacks and threats to invade by Turkey; Turkish Cypriots ceased to participate in the government. UN sponsored intercommunal talks to reach a settlement were held during 1968-1974; intercommunal tensions subsided and violence virtually disappeared during this period. Progress was reported in the talks but the process came to an end due to the Turkish invasion in the summer of 1974. On July 20, 1974, Turkey invaded Cyprus with massive military force. The pretext was a criminal coup against the President of Cyprus, on July 15, instigated by the military junta of Greece. Turkey put into operation its plan to partition Cyprus, an objective advocated by Ankara for many years. Despite the swift collapse of the coup, and the restoration of the legitimate government of Cyprus, Turkey undertook a second wave of invasion in August, in violation of UN ceasefire agreements, and expanded its occupation to nearly 40 percent of the Republic’s territory. Turkey’s military aggression against Cyprus tragically continues unabated to this date. The military occupation, forcible division, violation of human rights, massive colonisation, cultural destruction, property usurpation and ethnic segregation imposed since Turkey’s military invasion remain the main characteristics of the status quo on the island. Today, Turkey, an aspiring member of the EU, still stands guilty of international aggression against a member-state of the EU and the UN. This is certainly a totally unacceptable state of affairs, an affront to the international legal order, and an ongoing threat to regional stability that must be urgently redressed. - 36,2% of the sovereign territory of Cyprus is still under illegal military occupation by Turkey. - About 200,000 Greek Cypriots - one third of the total population - who were forcibly expelled from the occupied northern part of the island (where they constituted about 70% of the population) are still deprived of the right to return to their homes and properties. - Some 1,400 persons (among them several hundred civilians) are still missing, while the Turkish side refuses to cooperate in ascertaining their fate. - Less than 500 Greek and Maronite Cypriots, out of 20,000 at the end of August 1974, remain enclaved in their villages which are still occupied. These people are living under conditions of oppression, harassment and deprivation. (The rest were forced to abandon their homes and become refugees). - 43,000 troops from Turkey, heavily armed with the latest weapons, supported by air, land and sea power, are illegally stationed in the occupied area, making it one of the most militarized regions in the world. - About 160,000 settlers from Turkey have been imported illegally to colonize the occupied area and alter the demographic structure of Cyprus. - 58,000 out of the 116,000 Turkish Cypriots have emigrated from the island since Turkey’s invasion, according to Turkish Cypriot sources, because of the economic, social and moral deprivation which prevails in the occupied areas. Turkish Cypriots are now outnumbered by troops and settlers from Turkey by more than two to one. - Illegal construction on Greek Cypriot land and illegal sale of property owned by Greek Cypriots who were forcibly expelled from their homes by Turkey’s invasion have intensified. This unprecedented usurpation of property is yet another flagrant violation of human rights by the Turkish side. - The illegal Turkish Cypriot regime and Turkey continue to destroy, deliberately and methodically, the Hellenic and Christian cultural and historical heritage in occupied Cyprus. A series of UN General Assembly and Security Council resolutions, as well as resolutions adopted by numerous other international organizations, reflect the universal condemnation of Turkey’s invasion and on-going occupation of part of Cyprus; demand the return of the refugees to their homes in safety and the tracing of the missing persons; demand the withdrawal of foreign forces and settlers from Cyprus; and call for respect for the human rights of all Cypriots as well as for the independence, sovereignty and territorial integrity of Cyprus. Moreover, the European Court of Human Rights has found the government of Turkey responsible for gross and systematic violations of human rights in Cyprus. Regrettably, most of the resolutions and court decisions remain unimplemented as Turkey continues to defy the will of the international community and the rule of law. Successive rounds of UN-sponsored talks to resolve the Cyprus problem have been unsuccessful. Since February 2014, a new negotiating process is on track aiming at a comprehensive settlement of the Cyprus problem, in accordance with the High Level Agreements, the United Nations Security Council Resolutions and the EU principles and values. On February 11, 2014, the leaders of the two communities, President N. Anastasiades, and Dr. D. Eroglu (since succeeded in April 30, 2015 by Mustafa Akinci), adopted a Joint Declaration setting the framework of a settlement and clarifying the methodology to be followed during the new negotiating process. The Joint Declaration reaffirms, inter alia, that the settlement will be based on a bi-communal, bi-zonal federation with political equality, as set out in the relevant Security Council Resolutions and the High Level Agreements. It reiterates that the united Cyprus, as a member of the United Nations and of the EU, shall have a single international personality, a single sovereignty and a single citizenship. It also underlines that that any settlement should ensure the common future of all Cypriots within the EU. The adoption of the Joint Declaration and the resumption of full-fledged negotiations attracted renewed international interest and created a new momentum for the settlement of the Cyprus Problem. The resumption of the negotiations was welcomed by the United Nations Security Council and the EU, as well as by many states. The Cyprus Government, in its effort to maintain and enhance this positive climate, attaches great importance to the implementation of confidence building measures. In this framework, President Anastasiades submitted a comprehensive package proposal of confidence- building measures regarding Varosha. This package will be a game-changer since it will inject a new dynamism into the process and will contribute decisively to the rebuilding of mutual trust, hope and confidence of Greek and Turkish Cypriots in a solution. EU and US have expressed their support to this proposal. Nonetheless, a positive response from Turkey has not yet been received.